It has been almost a year since Camper and Emirates Team New Zealand confirmed their entry in the Volvo Ocean Race. This morning in Auckland, the team’s Volvo Open 70, CAMPER, rolled out of the shed at Cookson Boats and was transported across the Harbour Bridge to the team’s base in the Viaduct. 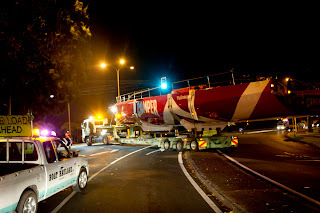 CAMPER with Emirates Team New Zealand, Volvo Open 70 is transported from Cooksons boat yard to the ETNZ base in Auckland, ahead of training for the Volvo Ocean Race 2011-12. photo credits: Chris Cameron Marcelino Botin led the Emirates Team New Zealand design team, and over the last 12 months a core group of people from Emirates Team New Zealand has been working hard with the Cookson crew to keep the build on track. Camper’s founder and chairman, Lorenzo Fluxá is equally excited about today’s event, an historical moment in the company’s first foray into ocean racing. The shore crew will bring the final components together from the team’s base in Auckland’s Viaduct Harbour. The remaining systems and keel will be fitted before CAMPER is lowered in the water by travel lift, where the mast will be stepped and the sails loaded. Then follows the boat’s first sail, when the full extent of her new livery will be revealed. 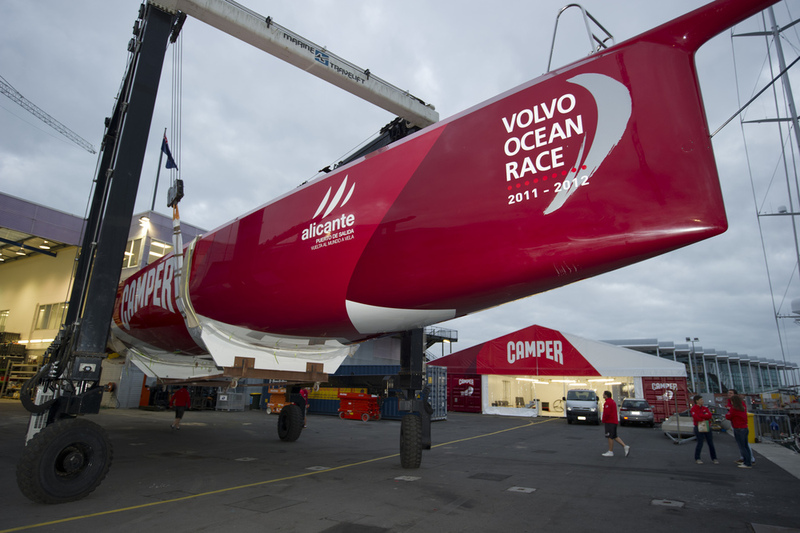 For latest information on Camper and Emirates Team New Zealand campaign in the Volvo Ocean Race, visit the team website.